The gallery is pleased to present an exhibition of recent oil paintings by John Beerman. The exhibition marks the artist’s fourth with the gallery. Best known for his luminous depictions of the Hudson River Valley, the exhibition focuses on these works as well as landscapes and scenes from the artist’s native North Carolina, to where he has returned after decades living in New York. 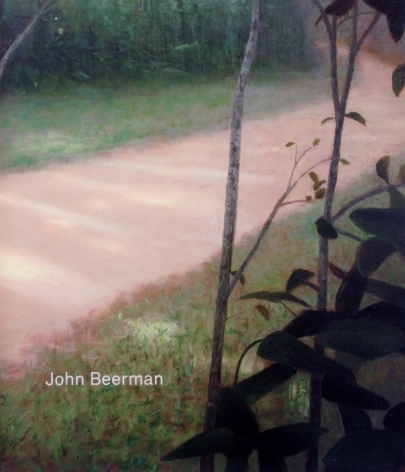 Beerman’s poetic sensibility can be felt in his treatment of his natural surroundings, whether in the contours of a river or in the dappled midday light reflecting off a wooded path. Like a poet who masters all the traditional forms then goes his own way, John Beerman obviously absorbed the work of Asher B. Durand, Thomas Cole, Thomas Doughty and other Hudson River painters’ work, then evolved away from it, while retaining certain qualities such as their mythic sense of the American landscape, the fascination with geographical forms, and a sense of nature’s inherent, self-contained power. Beerman has said that he is influenced by the Luminists, the later painters of that school, who were more involved in effect than scene, who compositionally reduced the landscape rather than depicting it with infinite detail, and who took light as a grace. Beerman has exhibited widely throughout the United States. He received a B.F.A. from the Rhode Island School of Design and later attended Skowhegan School of Painting of and Sculpture. His work is represented in numerous public collections including the Metropolitan Museum of Art, the Brooklyn Museum, and the Museum of Fine Arts, Houston, among others. The artist completed a major commission for the New York-Presbyterian/Columbia University Medical Center which was recently unveiled to great acclaim.